Are There Plans For An LGBTQIA Marvel Character? Last week marked an important landmark in the movement for marriage equality and the lives of LGBTQIA Americans, but the entertainment industry has been working for longer than that to increase the amount of queer characters in movies and television. On Amazon, there’s Transparent, about a father (Jeffrey Tambor) who comes out as trans to her adult children. On Netflix, prison dramedy Orange is the New Black stars trans actress Laverne Cox as Sophia Burset, a trans inmate whose characterization extends to far more than just that identifier. Benedict Cumberbatch earned an Oscar nod last year playing gay code-breaker Alan Turing in The Imitation Game, and that Best Actor race’s victor, Eddie Redmayne, will take on the part of transitioning painter Einar Wegener in this fall’s The Danish Girl. Meanwhile, at Cannes this past May, Cate Blanchett recently drew awards buzz playing a ’50s housewife who engages in a passionate love affair with a shopgirl (Rooney Mara) in Carol (also expected to be an awards heavyweight when it is given a theatrical bow later this year). Queer folk are having more than a moment – they’re finally stepping into a spotlight that seems poised to shine on them far into the foreseeable future. Now, with the Marvel Cinematic Universe, one of Hollywood’s most all-consuming franchises, expanding to include solo vehicles for black superhero Black Panther and female hero Captain Marvel, the question is fast becoming: when will it be time for an LGBTQIA superhero? 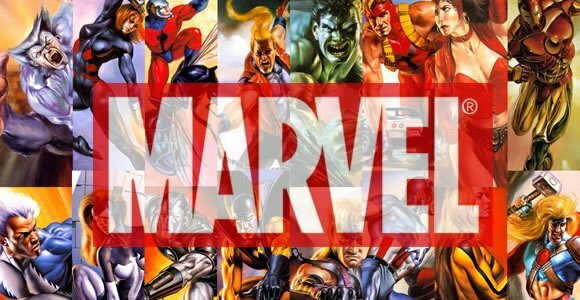 During a recent interview with Collider, Kevin Feige stated his belief that we’ll see a firmly queer Marvel character on screen within the next decade “for sure.” Of course, he didn’t go into specifics, but the studio head explained he and others at Marvel Studios look to the comics for inspiration, and fidelity to the source material is always a top priority. While it makes sense that Feige would want to abide by the comics, there’s definitely a public appetite for a queer superhero or (at the very least) supporting character. Marvel reaches audiences all over the world more than perhaps any other movie brand today, and it would mean a great deal if the franchise widened to incorporate more queer individuals. If Marvel was thinking critically, it would be terrific to see Maria Hill (Cobie Smulders) envisioned as an LGBT role model (she had a brief flirtation with Tony Stark in the comics, but there’s nothing to suggest an orientation in the MCU at this stage) or members of the Inhumans arrive as openly queer heroes. Any number of Marvel characters who have already appeared on screen could be portrayed as LGBTQIA without any degree of retconning, and it would be a very worthy path for Marvel to go down.